Obituary for Barbara Ihnen | McKee Mortuary Inc.
Barbara A. Ihnen went to heaven on August 17, 2018 at Lutheran Hospital, Fort Wayne, IN. She was born April 2, 1957 in West Lafayette, IN to Gene and Lynn Ramsbey. Barbara graduated from Plymouth High School, Plymouth, Indiana in 1975. She married Max L. Ihnen on July 15, 1978. Barbara graduated from Manchester College in 1979 with a bachelor's degree in elementary education. She received her Master's Degree in elementary education from IPFW in Fort Wayne, Indiana. 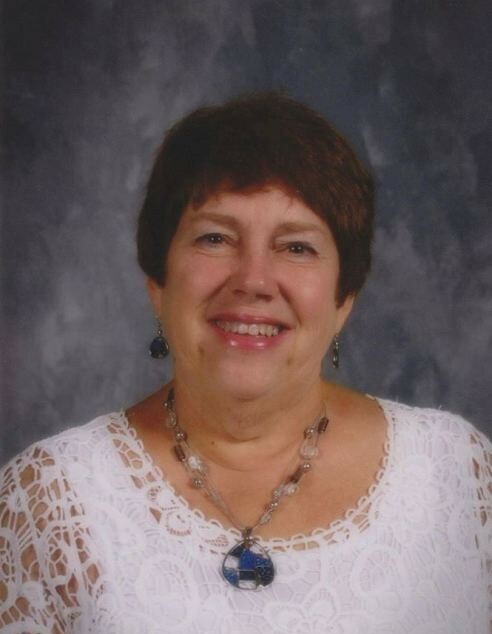 She was an elementary school teacher in the Manchester Community Schools for 25 years. She then became an elementary principal at Pierceton Elementary School, Metro North Elementary School, and retired as a principal at Perry Hill Elementary in June 2017. Barbara loved her family with all her heart and was a devoted wife, mother and grandmother. She so enjoyed her time spent with her grandchildren. Barbara had a special love for children and touched the lives of many over the years. She truly cared about her students, while in her classroom and beyond. Barbara enjoyed nature, traveling and spending time with her family. She also enjoyed volunteering at the Fort Wayne Children's Zoo. Barbara will be remembered by her husband, Max Ihnen, Fort Wayne, Indiana; one son Matt (Lauren Koegler) Ihnen, Milwaukee, Wisconsin; two daughters Andrea (Brock) Shultz, Avilla, Indiana and Amy Ihnen, Indianapolis, Indiana; her parents, Gene & Lynn Ramsbey, North Manchester, Indiana; two brothers, Mark (Mai Nguyen) Ramsbey, Sunnyvale, California and Paul (Rayelene) Ramsbey, Pipestone, Minnesota; two sisters Diane Quance, Warsaw, Indiana and Dawn (Scott) Helm, Elkhart, Indiana; and three grandchildren Bryce, Maci, and Lane Shultz. She was preceded in death by one son, Kyle Ihnen.